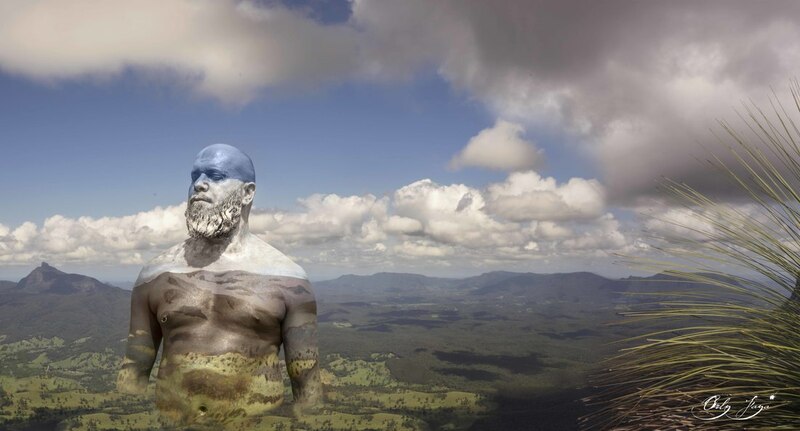 In this world that we live in, it seems hard to ignore the state of affairs affecting our Biosphere. From the treatment of humans to the treatment of the earth, we are now dealing with generations upon generations of post traumatic stress syndrome, a result of our initial separation for nature-based ways of life. ART is a direct way of communication, initiating an emotive response that can have far reaching effects. Orly Faya is an avid humanitarian and environmentalist, who continues to create ways of communicating the important messages of our time through her mimetic artwork, poetic talks and Organisational Advocacy. Click here to get in touch about your project and see how we can create movement together. 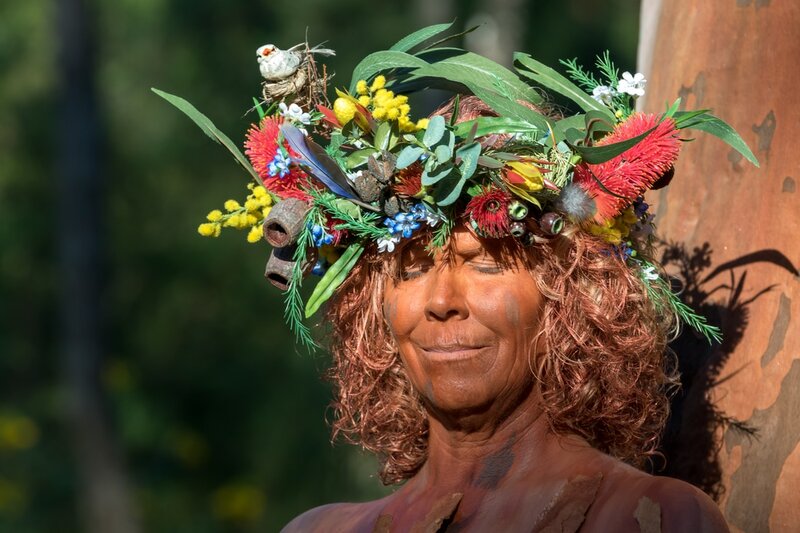 Debbie Agnew, born on 3.4 Marched Fourth into her 50's by initiating a private Merge Session- combined with a National Tree Day Campaign. Final Images and film coming soon! Brought on board to help fundraise monies for Indigenous land carer Organisation in Northern Rivers. 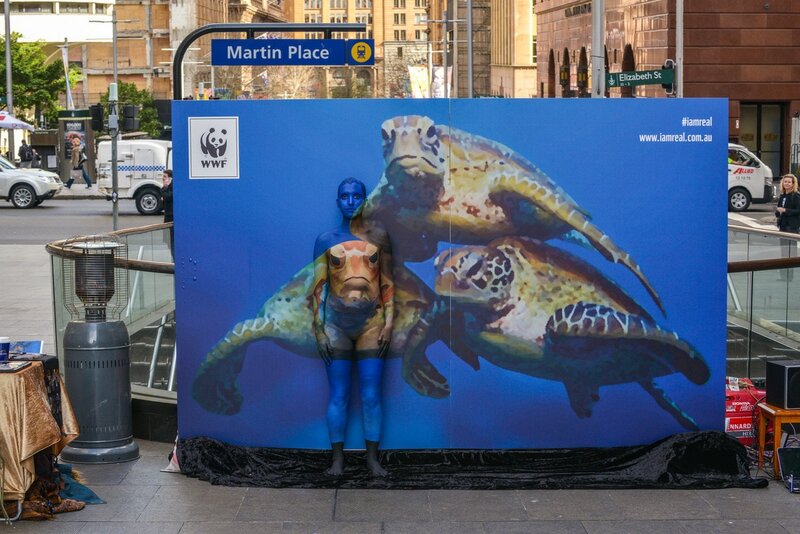 Red Agency commissioned a LIVE full body paint merge in Sydney's Martin place to highlight our human connection to the disappearing reef, championed by WWF 'i am' campaign. Welcomed on Board as part of a Voyage from Singapore to Bali, Orly Faya Sailed the seas with the Biospherians and honoured their work and their time at sea by painting them into their Ship and the Java Sea.